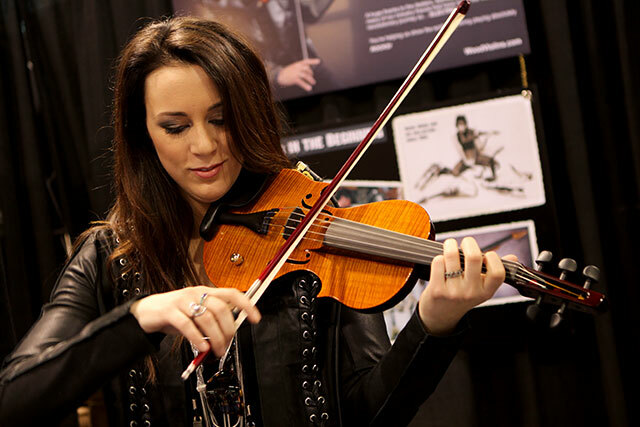 as a modern string player, let The Nashville guide your way. 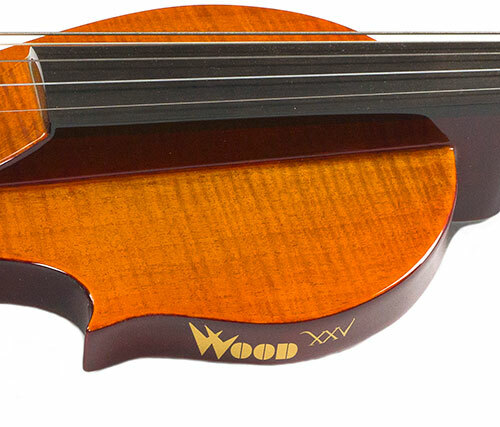 Enjoy the look, style and feel of an acoustic violin with the versatility and behavior of an electric. 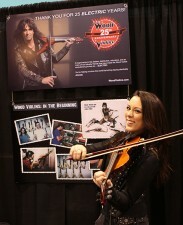 Cassandra Sotos enjoys the Nashville at its debut at the NAMM Show. Wood Violins has spent the last 25 years designing and developing products to accommodate the modern string player. Whether you play pop, classical, jazz, rock, hip hop, or any other style of music to help you survive in this world as a modern string player, Wood Violins has the tools for you . After decades of being the leaders in contemporary violin design, we are proud to present The Nashville. This sleek new beauty combines classic timeless design with the versatility of a modern electric instrument. Its fully chambered asymmetrical design has the style, weight, and feel of your beloved acoustic while flawlessly crossing over from classical to contemporary. Click the Gallery tab to see more pix! Custom finish options are endless: The photo shows a one-piece flame maple top with deep antique faded amber finish reminiscent of classic European violins. As with all our custom instruments, The Nashville can have the finish of your dreams.